Having beautiful and full lips is a sign of good health, youth as well as beauty. Lip thinning can be seen in many people it could either be due to aging or genetic. 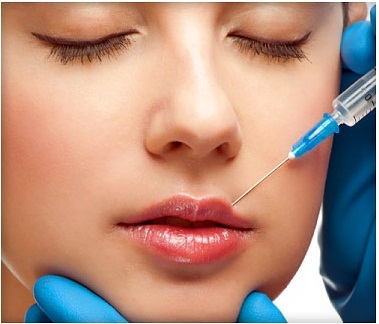 There are number of ways to enhance the lips such as lip injections, synthetic fillers or surgeries that are capable of keeping your lips plump on permanent basis. Every year thousands of people consider and go through lip surgery to achieve their desired lips shape. Thin lips do not match with other facial features. There are numerous ways to enhance a lip and our surgeon will offer you the appropriate method as per your expectations. To achieve higher level of satisfaction, some patients might have to go through two or more procedures. In fat transfer treatment, the fat is taken from the pre-decided part of your body and is inserted into the lips. Injections may need to be repeated until aesthetic goals are achieved. It gives you lifelong results. This is quite similar to fat transfer procedure but instead of using natural human body fat, substitutes such as synthetic biocompatible material is used to plump up the lips. One treatment is efficient enough to get the desired result but the treatment works on temporary basis and repeat injections are required. It works for 12-18 months. This method produces permanent results by surgically enhancing the lip forward via incisions placed inside the mouth. In this procedure, a derma-fat graft is taken from other part of the body & is placed under the lining of the lip to add additional plump. In this surgical procedure, lip implants are inserted through incisions inside the corners of the mouth. There are numerous synthetic as well as natural implants available for the procedure. Our surgeon will tell you about them all. If you are facing the issue of loose skin or sloping of mouth corners, then this surgical treatment will work like a charm for you. In this procedure the surgeon makes an incision under the lips and removes the excess skin to lift up the lip, Simultaneously, on the sides of the lips, incisions are made to remove sloppy skin and alter the lips as per the desired shape. The stitches will be removed after five days. After the procedure the surgeon will give you medications that will help in healing, also if in any case, any kind of infection seems to emerge you can contact us immediately. Book your consultation today and get that beautiful smile once and for all.